The man has made many similar comments, demonstrating his deep and abiding bigotry against Muslims. These are the words of Ed Koch. In fairness, Koch was mayor of New York and during his term… uh, well…um…hey, both the Mets and Yankees won World Series while he was in office. No other mayor of New York can say that. So there! Why do I care if CUNY gives Koch an award? Because of who they dropped from their list of awardees. 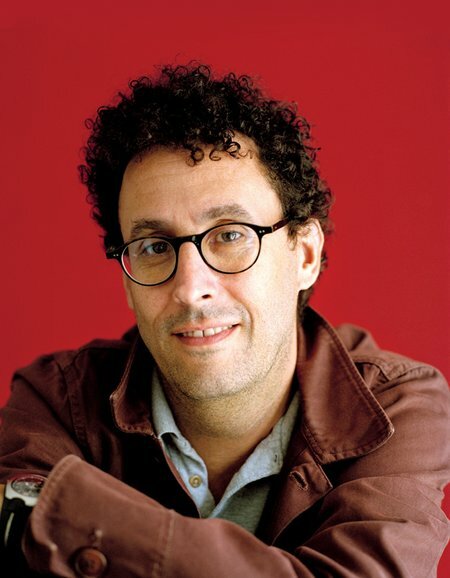 They dropped playwright Tony Kushner, a fierce fighter for just causes, and a writer whose play, Angels in America, was a groundbreaking dramatization of the experience with AIDS in the 1980s. Kushner, who has plainly stated his support for Israel — “I want the state of Israel to continue to exist. I’ve always said that. I’ve never said anything else. My positions have been lied about and misrepresented in so many ways. People claim that I’m for a one-state solution, which is not true,”—is being barred because of his opposition to Israel’s occupation and to what Zionism has become today. [Israel was] founded in a program that, if you really want to be blunt about it, was ethnic cleansing, and that today is behaving abominably towards the Palestinian people. I’ve never been a Zionist. I have a problem with the idea of a Jewish state. It would have been better if it never happened. These quotes can be found on the web site Kushner’s accuser, Jeffrey S. Wiesenfeld, cites; they are sourced originally on the sites of the notorious propaganda machine, CAMERA and the fanatically right-wing Zionist Organization of America. One may disagree with Kushner’s political views. I do not agree with them myself. But should that have anything to do with his getting an award based on his work? Are we really content, as Americans and as Jews (those of us who are one or both) to see this sort of willful political censorship? Are we really ok with an educational institution being bullied by a wealthy and influential fanatic (a label Wiesenfeld has earned by his reliance on the sources he chose) to block an award for a crusader against social justice, but award one to a bigot who endorses witch-hunts based on religious beliefs? Tony Kushner has sent a letter to the CUNY Trustees. The text can be found online here. Jeffrey Wiesenfeld, the CUNY trustee who blacklisted Kushner, has a history of allegations of racism and bigotry. Some background can be found here. He was also deeply involved in the opposition to the Kahlil Gibran School, a major controversy in New York several years ago. So we know he has a long history of bigotry, largely, but not solely, against Muslims. One must hope someone can stop this man from spreading his hate any further. Koch is an ornery independent-minded guy who is not given to polite talk. He is often over the top in his statements. But he’s also giving voice to legitimate concerns and fears about terrorism. Calling somebody a name does not help us deal with these concerns and fears. Ralph, I was well aware of Koch’s response long before your message. There is nothing hyperbolic about calling someone who supports the profiling of Muslims as a group a bigot. Indeed, Koch’s racism has been a point of contention for a long time, including, for those of us living in NYC’s poorer areas during his dominion, in his time as mayor. His policies then, which were much more kindred to Giuliani’s than they were to his predecessor, Abe Beame or his successor, David Dinkins, were frequently denounced as racist. In his later days, he has done nothing to dispel that perception. That Koch comes down on the side of an open debate on this issue is absolutely unconnected to whether or not he’s a bigot. Contrary to your statement, years of progress-free struggle on the issue at hand demonstrates the futility of both hyperbolic accusations (which this obviously is not) and the timid fear of not calling powerful voices what they are.